Microsoft said Thursday it was adopting a set of principles for deployment of facial recognition technology, calling on industry rivals to follow suit and for new laws to avert a dystopian future. Microsoft president Brad Smith made the announcement at a Brookings Institution speech and an accompanying blog post, saying it was urgent to begin placing limits on facial recognition to avoid the surveillance state described in George Orwell's "1984." "We must ensure that the year 2024 doesn't look like a page from the novel '1984,'" Smith said. "An indispensable democratic principle has always been the tenet that no government is above the law. Today this requires that we ensure that governmental use of facial recognition technology remain subject to the rule of law. New legislation can put us on this path." 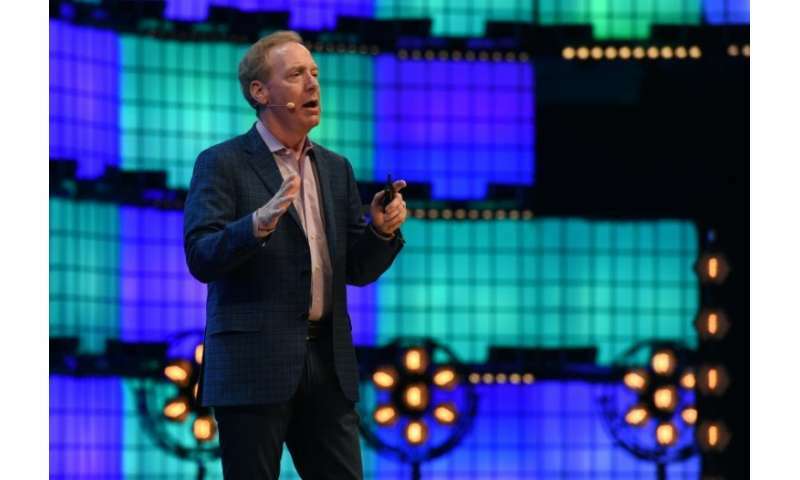 Earlier this year, Microsoft said it saw a need for some kind of regulation of facial recognition, and on Thursday Smith outlined principles that the company sees as important. Smith said the tech firm will press for legislation to be passed as early as 2019 that would require transparency, human review and privacy safeguards for any deployment of facial recognition. He said Microsoft would begin adopting these principles itself, while urging other tech firms to do the same. "This is a global issue and the industry needs to address these issues head on," he said. Smith said an important element would be to require "meaningful human review" when facial recognition algorithms are used to make key decisions that can affect a person's privacy, human rights or freedom, and to safeguard against discrimination or bias. Additionally, he said new laws should set limits on police use of facial recognition, so it may be used only with a court order or in the case of an imminent threat. "We believe it's important for governments in 2019 to start adopting laws to regulate this technology," he said. "The facial recognition genie, so to speak, is just emerging from the bottle. "Unless we act, we risk waking up five years from now to find that facial recognition services have spread in ways that exacerbate societal issues. By that time, these challenges will be much more difficult to bottle back up." "An indispensable democratic principle has always been the tenet that no government is above the law. " What galaxy is Brad Smith from?